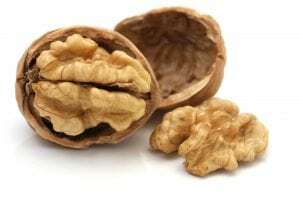 Stories in the New York Times’ “Well” blog have been known to drive us nuts — never more so than when they blithely tout the health benefits of walnuts based on research that’s too preliminary to support such claims. Let’s start with the fact that this study had just nine participants. Nine people who were studied for a grand total of 10 days. And yet that’s how the Times chose to frame the findings in its lead sentence. The rest of the story made no attempt to walk back the claim or rein it in — not in the slightest. We’ve written extensively on the dangers of drawing any firm conclusions from tiny studies like this one. The coverage becomes even more suspect when we learn that the reported results had almost nothing to do with weight loss. … when people looked at pictures of high-fat food, activation in the insula, a part of the brain involved in appetite and impulse control, increased among those who drank the walnut smoothie, but not among placebo drinkers. Maybe it’s interesting for academic researchers to know that a particular part of the brain lights up in response to pictures of chocolate cake over the course of a few days. But that may have little bearing on what will actually happen when people are confronted with real pieces of cake over the course of months or years. The MRI brain scan in this case is a so-called surrogate for what researchers think might happen in the real world. 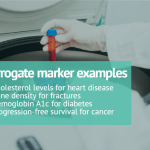 We’ve written extensively on why surrogate markers often don’t tell the whole story. You’d think that the Times’ skeptical antennae would be on high alert given this study’s funding from the California Walnut Commission. But there’s nary a note of caution anywhere to be found. 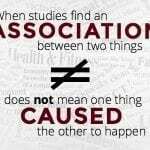 Nor does the story raise the plausible idea that other nuts would produce the same effects — although that possibility is acknowledged by the researchers themselves in the published study. I guess the macadamia people will have to fund their own study if they want to draw the Times’ attention. 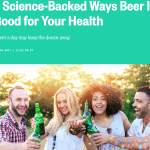 Kevin C. Klatt, a PhD nutrition student at Cornell University who blogs at Nutrevolve, told me that his major concern about this study is that it provides little practical information. Participants consumed fruit smoothies containing either walnuts or safflower oil with a walnut flavoring. The effects of walnuts in this study are relevant only to this control, which lacks real world application. I’m not aware of any smoothie recipes that call for the inclusion of safflower oil. In addition to this real world issue, from a scientific perspective, it’s unclear to me what hypothesis is being tested in this study (I looked briefly and couldn’t find a clinical trial registration or a primary outcome that was pre-registered). Walnuts differ in a substantial number of ways from safflower oil. As is, the study tests whether changing numerous nutritional factors at once impact their outcomes; given that many of these nutritional factors are common to other foods (i.e. omega 3 fatty acids, fiber), this leaves us unable to claim the outcomes are due to something uniquely special about walnuts. I didn’t bother to read any of the 95 comments (and counting) that Times readers left in response to this story, because I know many of them will echo the criticisms that readers have repeatedly made before in response to the Times’ incomplete Well Blog reporting. We join those readers (again) in calling for an end to such incomplete and imbalanced journalism. Update: This post originally stated that Kevin C. Klatt’s lab at Cornell has received funding from the California Walnut Commission. That was incorrect and the disclosure statement has been removed.